My Life in Ecuador Newsletter, Issue #030 -- Super Bowl in Ecuador? Issue #030, Super Bowl in Ecuador? This year lots of Ecuadorians were talking about the Super Bowl. Why? Because Ecuador became the first foreign nation to advertise their country during the Super Bowl. I watched the Super Bowl. It was a great game...but I must confess I was waiting for the Ecuador commercial. Of course, here in Ecuador we don't get the same commercials as the ones that aired on NBC, but the Ecuador commercial did air during the game on ESPN several times. In the US, the commercial only aired in select markets. Big cities like New York, Miami, Los Angeles, etc got to see it. Did you see it? If not, you can see it here and also watch the full length director's cut. So what do you think of the ad campaign? Could it be possible that "All You Need is Ecuador"? We have been working on new travel guides. I hope you find them useful for planning your next trip to Ecuador! More guides are on the way. If you have a suggestion to make the guides better or a there is a guide you would like to see us put together, feel free to let me know! However, it was just announced that Club Correo has been discontinued. Effective immediately. Apparently the program has been abused and the government saw the need to shut it down. If you have a package in Miami now, it will still be sent. If you have a subscription to Club Correos you can apply for a refund. For suggestions on sending and receiving mail see this page from my website. Some who come to Ecuador want to stay longer than the 90 days given to tourists. Many have asked how to stay longer. There are options. You can stay as a tourist up to 9 months per year by combining two "visas". Learn what is involved here. Now that the Quito Airport is no longer located right in the middle of the city, late night arrivals often want a place closer to the airport to recover from their trip. We have a perfect addition to Ecuador VIP for anyone looking to rest up before or after a flight. 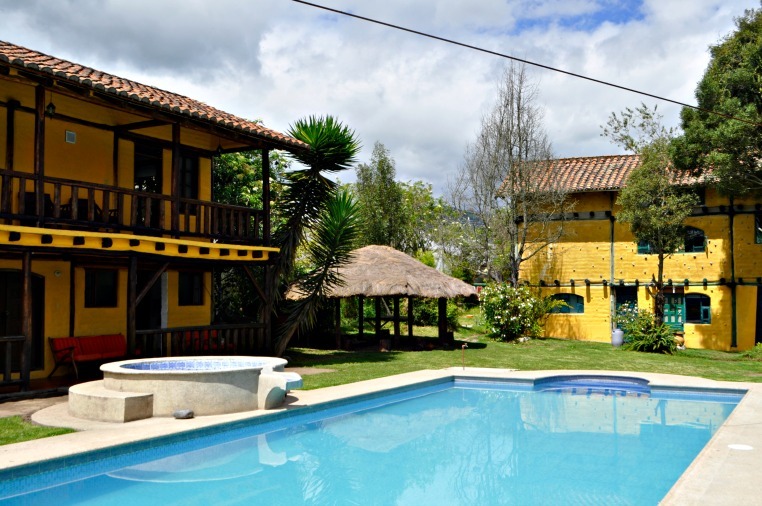 The Colibri Hotel is located just minutes from the Quito Airport and they offer sleeping options for any budget. You can even camp! Plus great amenities like a seasonal swimming pool, airport transfers and breakfast. And they are a pet friendly hotel. Learn more about the Colibri Hotel here and don't forget your VIP Discount Card! We just broke the 500 subscriber mark! Thanks to everyone who reads the newsletter. I hope you have found useful/interesting information about Ecuador.